Les publications illustrent les collaborations scientifiques au sein de la FR BioEnviS. Elles sont portées par au moins 2 unités de la FR et ont bénéficié des services des plateformes de celle-ci. Michaud, E., Desrosiers, G., Aller, R.C., Mermillod-Blondin, F., Sundby, B., Stora, G., 2009 – Spatial interactions in the Macoma balthica, community control biogeochemical fluxes at the sediment-water interface and microbial abundances. Journal of Marine Research, 67 : 43-70. Santos CL, Tavares F, Thioulouse J, Normand P. Aphylogenomic analysis of bacterial helix^turn^helix transcription factors, FEMS Microbiology Reviews, vol. 33 pp.411-429. Kremer N, Voronin D, Charif D, Mavingui P, Mollereau B, Vavre F. Wolbachia Interferes with Ferritin Expression and Iron Metabolism in Insects, PLoS Pathogens, vol. 5(10) pp.1-12. Barabote RD, Xie G, Leu DH, Normand P, Necsulea A, Daubin V, Médigue C, Adney WS, Xu XC, Lapidus A, Paralez RE, Detter C, Pujic P, Bruce D, Lavire C, Challacombe JF, Brettin TS, Berry AM. Complete genome of the cellulolytic thermophile Acidothermus cellulolyticus 11B provides insights into its ecophysiological and evolutionary adaptations, Genome Research, vol. 19(6) pp.1033-1043. Sanon A, Andrianjaka ZN, Prin Y, Bally R, Thioulouse J, Comte G, Duponnois R. Rhizosphere microbiota interfers with plant-plant interactions, Plant Soil, vol. 321(1-2) pp.259-278. Harper W.F., Terada A., Poly F., Le Roux X., Mazher M., and Smets B.F. 2009. The effect of hydroxylamine on the activity and aggregate size of autotrophic nitrifying bioreactor cultures. Biotechnol. Bioen. 102 : 714-724. Baudoin E, Nazaret S, Mougel C., Ranjard L, Moënne-Loccoz Y. 2009. Impact of inoculation with the phytostimulatory PGPR Azospirillum lipoferumCRT1 on the genetic structure of the rhizobacterial communityof ﬁeld-grown maize.Soil Biol Biochem 41:409-413. Kyselková, M., Kopecký, J., Frapolli, M., Defago, G., Ságová-Marečková, M., Grundmann, G.L. and Moënne-Loccoz, Y. (2009) Comparison of rhizobacterial community composition in soil suppressive or conducive to tobacco black root rot disease. ISME J., 3, 1127-1138. 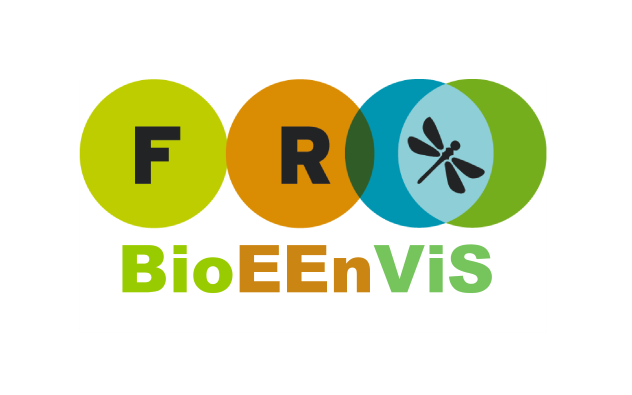 Bel-Venner MC, Mondy N, Arthaud F, Marandet J, Giron D, Venner S, Menu F. Ecophysiological attributes of adult overwintering in insects : insights from a field study in the nut weevil Curculio nucum, Physiological Entomology, vol. 34 pp.61-70. Voituron Y., Barré H., Ramløv H., Douady C.J., 2009 - Freeze tolerance evolution among Anurans : frequency and timing of appearance. Cryobiology, 58 : 241-247. Voituron Y., Paaschburg, L., Holmstrup, M., Barré, H., Ramløv, H., 2009 - Survival and metabolism of Rana arvalis during freezing. Journal of Comparative Physiology B, 179 : 223-230. Fablet M, Lerat E, Rebollo R, Horard B, Burlet N, Martinez S, Brasset E, Gilson E, Vaury C, Vieira C. Genomic environment influences the dynamics of the tirant LTR retrotransposon in Drosophila, FASEB Journal, vol. 23 pp.54-6. Brinza L., Vinuelas J., Cottret L., Calevro F., Rahbé Y., Febvay G., Duport G., Colella S., Rabatel A., Gautier C., Fayard J.M., Sagot M.F., Charles H., 2009. Systemic analysis of the symbiotic function of Buchnera aphidicola, the primary endosymbiont of the pea aphid Acyrthosiphon pisum. Comptes Rendus Biologies (Académie des Sciences, Paris), 332 : 1034-1049. Gross R., Vavre F., Heddi A., Hurst G.D.D., Zchori-Fein E., Bourtzis K., 2009. Immunity and symbiosis. Molecular Microbiology, 73 : 751-759. Braga, M.D., Gautier, C. and Sagot, M.F. (2009) An asymmetric approach to preserve common intervals while sorting by reversals. Algorithms Mol. Biol., 4, 16. Deniaud, E., Baguet, J., Chalard, R., Blanquier, B., Brinza, L., Meunier, J., Michallet, M.C., Laugraud, A., Ah-Soon, C., Wierinckx, A., Castellazzi, M., Lachuer, J., Gautier, C., Marvel, J. and Leverrier, Y. (2009) Overexpression of transcription factor Sp1 leads to gene expression perturbations and cell cycle inhibition. PLoS One, 4, e7035. Horard, B., Eymery, A., Fourel, G., Vassetzky, N., Puechberty, J., Roizes, G., Lebrigand, K., Barbry, P., Laugraud, A., Gautier, C., Simon, E.B., Devaux, F., Magdinier, F., Vourc’h, C. and Gilson, E. (2009) Global analysis of DNA methylation and transcription of human repetitive sequences. Epigenetics, 4, 339-350. Hunter, S., Apweiler, R., Attwood, T.K., Bairoch, A., Bateman, A., Binns, D., Bork, P., Das, U., Daugherty, L., Duquenne, L., Finn, R.D., Gough, J., Haft, D., Hulo, N., Kahn, D., Kelly, E., Laugraud, A., Letunic, I., Lonsdale, D., Lopez, R., Madera, M., Maslen, J., McAnulla, C., McDowall, J., Mistry, J., Mitchell, A., Mulder, N., Natale, D., Orengo, C., Quinn, A.F., Selengut, J.D., Sigrist, C.J., Thimma, M., Thomas, P.D., Valentin, F., Wilson, D., Wu, C.H. and Yeats, C. (2009) InterPro : the integrative protein signature database. Nucleic Acids Res., 37, D211-215. Navratil, V., de Chassey, B., Meyniel, L., Delmotte, S., Gautier, C., André, P., Lotteau, V. and Rabourdin-Combe, C. (2009) . VirHostNet : a knowledge base for the management and the analysis of proteome-wide virus-host interaction networks. Nucleic Acids Res., 37, D661-668. DEY R., BODENNEC J., MAMERI MO, PERNIN P. 2009. Free-living freshwater amoebae differ in their suceptibility to the pathogenic bacterium Legionella pneumophila. FEMS Microbiol Lett 290 : 10-17. Creuzé des Châtelliers, M. Juget, J., Lafont, M., Martin, P. Subterranean aquatic Oligochaeta. In : Freshwater Biology Special Issue, Assessing and Conserving Groundwater Biodiversity (Eds. J. Gibert & D.C. Culver), Freshwater Biology, 54 : 678-690. Trontelj, P., Douady, C.J., Fiser, C., Gibert, J., Goricki, S., Lefébure, T., Sket, B., Zaksek, V., 2009 – A molecular test for cryptic diversity in groundwater : how large are the ranges of macro-stygobionts ? In : Freshwater Biology Special Issue, Assessing and Conserving Groundwater Biodiversity (Eds. J. Gibert & D.C. Culver), Freshwater Biology, 54 : 727-744. Danielopol, D.L., Artheau, M., Marmonier, P., 2009 – Site prioritisation for the protection of rare subterranean species – the cases of two ostracods from south-western France. In : Freshwater Biology Special Issue, Assessing and Conserving Groundwater Biodiversity (Eds. J. Gibert & D.C. Culver), Freshwater Biology, 54 : 877-884. Deharveng, L., Stoch, F., Gibert, J., Bedos, A., Galassi, D., Zagmajster, M., Brancelj, A., Camacho, A., Fiers, F., Martin, P., Giani, N., Magniez, G., Marmonier, P., 2009 - Groundwater biodiversity in Europe. In : Freshwater Biology Special Issue, Assessing and Conserving Groundwater Biodiversity (Eds. J. Gibert & D.C. Culver), Freshwater Biology, 54 : 709-726. Dole-Olivier, M.J., Malard, F., Martin, D., Lefébure, T., Gibert, J., 2009 – Relationships between environmental variables and groundwater biodiversity at the regional scale. In : Freshwater Biology Special Issue, Assessing and Conserving Groundwater Biodiversity (Eds. J. Gibert & D.C. Culver), Freshwater Biology, 54 : 797-813. Malard, F., Boutin, C., Camacho, A.I., Ferreira, D., Michel, G., Sket, B., Stoch, F., 2009 - Diversity patterns of stygobiotic crustaceans across multiple spatial scales in Europe. In : Freshwater Biology Special Issue, Assessing and Conserving Groundwater Biodiversity (Eds. J. Gibert & D.C. Culver), Freshwater Biology, 54 : 756-776. Colson-Proch, C., Renault, D., Gravot, A., Douady, C.J., Hervant, F., 2009 - Do current environmental conditions explain physiological and metabolic responses of subterranean crustaceans to cold ? Journal of Experimental Biology, 212 : 1859-1868. Lalouette, L., Kaufmann, B., Konecny, L., Renault, D., Douady, C.D., 2009 - Characterization and PCR multiplexing of 14 new polymorphic microsatellite loci for the invasive subantarctic carabid Merizodus soledadinus (Coleoptera : Carabidae). Conservation Genetics Resources, 1(1) : 455-458. BARALE G., GUIGNARD G., BAMFORD M.K., 2009 - Structure of corystospermaceous ovules from Upper Triassic of Zimbabwe. Botany 87 : 854-863. WELLMAN C., GRAUVOGEL-STAMM L., GUIGNARD G., 2009 - Studies of spore/pollen wall ultrastructure in fossil and living plants : a review of the subject area and the contribution of Bernard Lugardon. Review of Palaeobotany and Palynology, 156 : 2-6. PHILIPPE M., JIANG H.-E., KIM K.-S., OH C., GROMYKO D., HARLAND M., PAIK I-S., THEVENARD F. Structure and diversity of the Mesozoic wood genus Xenoxylon in Far-East Asia : implications for terrestrial palaeoclimates. Lethaia, 42, 393-406. BARTIROMO A., BARALE G., BARONE LUMAGA M.R., BRAVI S., BARATTOLO F., 2009 - The Early Cretaceous Flora from Profeti (Caserta, Southern Italy). Review of Palaeobotany and Palynology, 156 : 101-116. GUIGNARD G., WANG Y., Ni Q., TIAN N., JIANG Z., 2009 - A dipteridaceous fern with its in situ spores from the Lower Jurassic in Hubei, China. Review of Palaeobotany and Palynology. 156 : 104-115. YANG X.J., GUIGNARD G., THEVENARD F., WANG Y.D., BARALE G., 2009 - Leaf cuticle ultrastructure of Pseudofrenelopsis dalatzensis (Chow et Tsao) Cao ex Zhou (Cheirolepidiaceae) from the Lower Cretaceous Dalazi Formation of Jilin, China. Rev. Palaeobot. Palynol., 153 : 8-18. Mazin, J.-M., Billon-Bruyat, J.-P., Padian, K., 2009. First record of a pterosaur landing trackway. Proceedings of the Royal Society of London, Biological Sciences, 276, 3881-3886. Vannier, J., Garcia-Bellido, D.C., Hu, S.-X., Chen, A.-L., 2009. Arthropod visual predators in the early pelagic ecosystem : evidence from the Burgess Shale and Chengjiang biotas. Proceedings of the Royal Society of London, Biological Sciencesl, 276, 2567-2574. Deffontaine, V., Ledevin, R., Fontaine, M.C., Quéré, J.-P., Renaud, S., Libois, R., Michaux, J.R., 2009. A relic bank vole lineage in the French Basque country highlights the biogeographic history of Pyrenean mountains in Europe. Molecular Ecology, 18, 2489-2502. Louchart, A., 2009. Corrigendum to “Fossil birds of the Kibish Formation” [J. Hum. Evol. 55 (2008) 513–520]. Journal of Human Evolution, 57, 822. Merceron, G., Scott, J., Scott, R. S., Geraads, D., Spassov, N., Ungar, P.S., 2009. Folivory or fruit/seed predation for Mesopithecus, an earliest colobine from the late Miocene of Eurasia ? Journal of Human Evolution, 57, 732-738. Nishimura, T.D., Senut, B., Prieur, A., Treil, J., Takai, M., 2009. Nasal architecture of Paradolichopithecus arvernensis (late Pliocene, Senèze, France) and its phyletic implications. Journal of Human Evolution, 56, 213-217. Renaud, S., Pantalacci, S., Quéré, J.-P., Laudet, V., Auffray, J.-C., 2009. Developmental constraints revealed by co-variation within and among molar rows in two murine rodents. Evolution & Development, 11, 590-602. Fernández-López, S.R., Pavia, G., Erba, E., Guiomar, M., Henriques, M.H., Lanza, R., Mangold, C., Olivero, D., Tiraboschi, D., 2009. Formal proposal for the Bathonian GSSP (Middle Jurassic) in the Ravin du Bès Section (Bas-Auran, SE France). Swiss Journal of Geosciences, 102, 271-295. Reboulet, S., Klein (reporters), J., Barragán, R., Company, M., González-Arreola, C., Lukeneder, A., Raisossadat, S.N., Sandoval, J., Szives, O., Tavera, J.M., Vašíček, Z., Vermeulen, J., 2009. Report on the 3rd International Meeting of the IUGS Lower Cretaceous Ammonite Working Group, the “Kilian Group” (Vienna, Austria, 15th April 2008). Cretaceous Research, 30, 496-502. Cordey, F., Cornée, J.-J., 2009. New radiolarian assemblages from La Désirade Island basement complex (Guadeloupe, Lesser Antilles Arc) and Caribbean tectonic implications. Bulletin de la Société Géologique de France, 180, 399-409. Enay, R., Mangold, C., Alméras, Y., Hughes, G.W.G., 2009. The Wadi ad Dawasir "delta", central Saudi Arabia : A relative sea-level fall of Early Bathonian age. GeoArabia, 14 (1), 17-52. Fernández-López, S.R., Pavia, G., Erba, E., Guiomar, M., Henriques, M.H., Lanza, R., Mangold, C., Morton, N., Olivero, D., Tiraboschi, D., 2009. The global boundary stratotype section and point (GSSP) for base of the Bathonian Stage (Middle Jurassic), ravin du bès section, SE France. Episodes, 32, 222-248. Gomes Rodrigues, H., Merceron, G., Viriot, L., 2009. Dental microwear patterns of extant and extinct Muridae (Rodentia, Mammalia) : ecological implications. Naturwissenschaften, 96, 537-542. Peigné, S., Goillot, C., Germonpré, M., Blondel, C., Bignon, O., Merceron, G., 2009. Predormancy omnivory in European cave bears evidenced by a dental microwear analysis of Ursus spelaeus from Goyet, Belgium. Proceedings of the National Academy of Science, USA, 106 (36), 15390-15393. Peigné, S., Goillot, C., Germonpré, M., Blondel, C., Bignon, O., Merceron, G., 2009. Reply to Bocherens : Dental microwear and stable isotopes on bone collagen are complementary to sort out cave bear diets. Proceedings of the National Academy of Science, USA, 106 (48), E134. Renaud, S., Alibert, P., Auffray, J.-C., 2009. Mandible shape in hybrid mice. Naturwissenschaften, 96, 1043- 1050. Rodrigues, H.G., Merceron, G., Viriot, L., 2009. Dental microwear patterns of extant and extinct Muridae (Rodentia, Mammalia) : ecological implications. Naturwissenschafte, 96, 537-542. García-Bellido, D.C., Vannier, J., Collins, D., 2009. Soft-part preservation in two species of the arthropod Isoxys from the middle Cambrian Burgess Shale of British Columbia, Canada. Acta Palaeontologica Polonica, 54, 699-712. Bert, D., Enay, R., Atrops, F., 2009. Les Gregoryceras (Ammonitina) de l’Oxfordien moyen terminal et supérieur téthysien : révision systématique, biostratigraphie et évolution. Geobios, 42, 451-493. D’Emic, M.D., Wilson, J.A., Chatterjee, S. 2009. The Titanosaur (Dinosauria : Sauropoda) Osteoderm Record : Review and first Definitive Specimen from India. Journal of Vertebrate Paleontology, 29(1), 165-177. Gaillard, C., Olivero, D., 2009. The ichnofossil Halimedides in Cretaceous pelagic deposits from the Alps : environmental and ethological significance. Palaios, 24, 194-207. Giraud, F., Courtinat, B., Atrops, F., 2009. Spatial distribution patterns of calcareous nannofossils across the Callovian-Oxfordian transition in the French Subalpine Basin. Marine Micropaleontology, 72, 129-145. Guérin, C., Faure, M., 2009. Les Cervidae (Mammalia, Artiodactyla) du Pléistocène supérieur-Holocène ancien de la région du Parc National Serra da Capivara (Piauí, Brésil). Geobios, 42, 169-195. Lihoreau F., Ducrocq S., Antoine P.O., Vianey-Liaud M. Rafaÿ S., Garcia G. & Valentin X. (2009) - First Complete Skulls of Elomeryx crispus (Gervais, 1849) and of Protaceratherium albigense (Roman, 1912) from a new Oligocene locality near Moissac (SW France). Journal of Vertebrate Paleontology, 29(1):242-253. López-Antoñanzas, R., Mein, P., 2009. First detailed description of Hispanomys bijugatus Mein and Freudenthal, 1971 (Rodentia, Cricetodontinae) from the Upper Aragonian of La Grive-Saint Alban (France) : biostratigraphical implications. Geobios, 42, 783-796. Mein, P., 2009. The Miocene Keramidomys (Rodentia, Eomyidae) from the Sandelzhausen locality (Germany). Paläontologische Zeitschift, 83, 141-150. Ménouret, B., Guérin, C., 2009. Diaceratherium massiliae nov. sp. des argiles oligocènes de Saint-André et Saint-Henri à Marseille et de Les Milles près d’Aix-en-Provence (SE de la France), premier grand Rhinocerotidae brachypode européen. Geobios, 42, 293-327. Merceron, G., 2009. The Atzelsdorf section : a snapshot of the early Vallesian fauna of the paleo-Danube delta (Austria ; Late Miocene ; early Pannonian). Dental wear patterns of herbivorous ungulates as ecological indicators. Annalen des Naturhistorischen Museums in Wien, Serie A, 111, 647-660. Merceron, G., Koufos, G.D., Valentin, X., 2009. Feeding habits of the first European colobine, Mesopithecus : evidence from a comparative dental microwear analysis with modern cercopithecids. Geodiversitas, 31, 865- 878. Mertens, K.N., Ribeiro, S., Bouimetarhan, I., Caner, H., Combourieu-Nebout, N., Dale, B., De Vernal, A., Ellegaard, M., Filipova, M., Godhe, A., Goubert, E., Grøsfjeld, K., Holzwarth, U., Kotthoff, U., Leroy, S.A.G., Londeix, L., Marret, F., Matsuoka,K., Mudie, P.J., Naudts, Peña-Manjarrezs, J.L., Perssoni, A., Popescu, S.-M., Pospelovau, V., Sangiorgiv, F., Van Der Meerw, M.T.J., Vinkx, A., Zonneveldy, K.A.F., Vercauterenz, D., Vlassenbroeckaa, J., Louwye, S., 2009. Process length variation in cysts of a dinoflagellate, Lingulodinium machaerophorum, in surface sediments investigating its potential as salinity proxy. Marine Micropaleontology, 70, 54-69. Michael D.D., Wilson J.A. & Chatterjee S. (2009) - The titanosaur (Dinosauria : Sauropoda) osteoderm record : review and first definitive specimen from India. Journal of Vertebrate Paleontology 29(1):165-177. Nardin, E., Lefebvre, B., David, B., Mooi, R., 2009. La radiation des échinodermes au Paléozoïque inférieur, l’exemple des blastozoaires. Comptes Rendus Palevol, 8, 179-188. Peigné, S., Merceron, G., Koufos, G.D., 2009. Louis de Bonis : 50 years of paleontological research on mammals. Geodiversitas, 31, 693-707. Sarr, R., El Hadj Sow, Bodergat, A.-M., 2009. Ostracodes et incursions marines dans l’Holocène terminal du lac Retba (Cap Vert, Sénégal). Geobios, 42, 381-395. Schlögl, J., Mangold, C., Tomasovych, A., Golej, M., 2009. Early and Middle Callovian ammonites from the Pieniny Klippen Belt (Western Carpathians) in hiatal successions : unique biostratigraphic evidence from sediment-filled fissure deposits. Neues Jahrbuch für Geologie und Paläontologie, Abh., 252, 55-79. Sigé, B., Archer, M., Crochet, J.-Y., Godthelp, H., Hand, S., Beck, R., 2009. Chulpasia and Thylacotinga, late Paleocene-earliest Eocene trans-Antarctic Gondwanan bunodont marsupials : new data from Australia, Geobios, 42, 813-823. Tabuce, R., Antunes, M.T., Sigé, B., 2009. A new primitive bat from the earliest Eocene of Europe. Journal of Vertebrate Paleontology, 29, 627-630. Tong, H.-W., Guérin, C., 2009. Early Pleistocene Dicerorhinus sumatrensis remains from the Liucheng Gigantopithecus Cave, Guangxi, China. Geobios, 42, 525-539. Villier, L., Charbonnier, S., Riou, B., 2009. Sea stars from Middle Jurassic Lagerstätte of La Voulte-sur-Rhône (Ardèche, France). Journal of Paleontology, 83, 389-398. Vallier A., Vincent-Monégat C., Laurençon A., Heddi A., 2009. RNAi in the cereal weevil Sitophilus spp : systemic gene knockdown in the bacteriome tissue. BMC Biotechnology, 9 : 44 (15 May 2009), 7 p.
Juban, G., Giraud, G., Guyot, B., Belin, S., Diaz, J.J., Starck, J., Guillouf, C., Moreau-Gachelin, F. and Morle, F. (2009) Spi-1 and Fli-1 directly activate common target genes involved in ribosome biogenesis in Friend erythroleukemic cells. Mol. Cell. Biol., 29, 2852-2864. CHIRON G., OLIVEIRA R.P., SANTOS T.M., BELIVERT F., BERTRAND C., VAN DEN BERG C., 2009 - Phylogeny and evolution of Baptistonia (Orchidaceae, Oncidiinae) based on molecular analyses and floral oil evidences. Plant Syst. Evol. 281 : 35-49. Martínez-Azorín M., Crespo M. B., Juan A., 2009 - Nomenclature and taxonomy of Ornithogalum divergens Boreau (Hyacinthaceae) and related taxa of the polyploidy complex of Ornithogalum umbellatum L. Candollea, 64(2) : 163 – 169. Picard F., Miele V., Daudin J.J., Cottret L., Robin S., 2009. Deciphering the connectivity structure of biological networks using MixNet. BMC Bioinformatics, 10 (Suppl. 6) : S17 (16 june 2009), 11 p.
Co-éditeur (“guide editor”), avec Léa Grauvogel-Stamm France et Charles Wellman Grande Bretagne, du numéro spécial (« Studies of spore/pollen wall ultrastructure in fossil and living plants ») dans la “Review of Palaeobotany and Palynology”, 22 articles, 262 pages au total. CHIRON G., SANSON N., 2009 - Deux nouvelles espèces de Pleurothallidinae (Orchidaceae) d’Espirito Santo, Brésil. Richardiana, X(1) : 32-41. CHIRON G., 2009 - Notes sur l’évolution du genre Baptistonia (Orchidaceae, Oncidiinae). Richardiana, IX(3) : 101-118. CHIRON G., 2009 - Riqueza e endemismo de espécies de Baptistonia (Orchidaceae), no Brasil. Hoehnea, 36(3) : 459-477. CHIRON G., BOLSANELLO R.X., 2009 - Révision du genre Myoxanthus (Orchidaceae, Pleurothallidinae) au Brésil. Richardiana, IX(4) : 172-197. CHIRON G., SANSON N., BOLSANELLO R.X., 2009. Deux nouvelles espèces de Pleurothallidinae d’Espiroto Santo (Brésil). Richardiana, IX(3) : 119-129. CORNIER B., 2009 - Sorbus legrei (spec. Nov.) et Sorbus remensis (spec. Nov.) (Rosaceae), deux nouvelles espèces françaises. Bull. Soc. Linnéenne Lyon, 78(1-2) : 27-46.